Make your home a place you want to come home to. 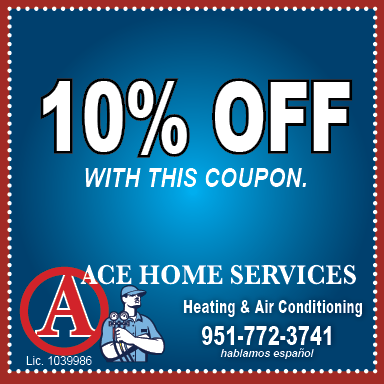 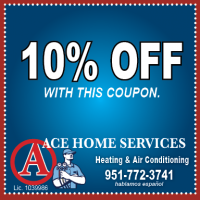 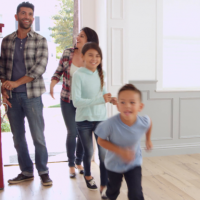 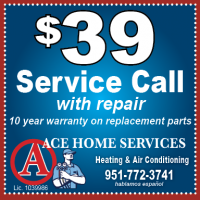 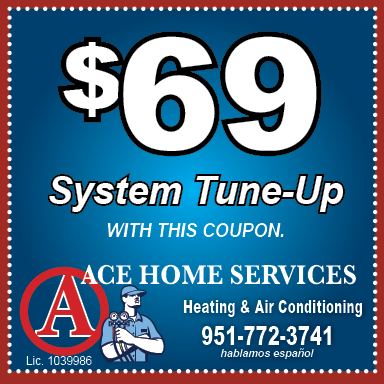 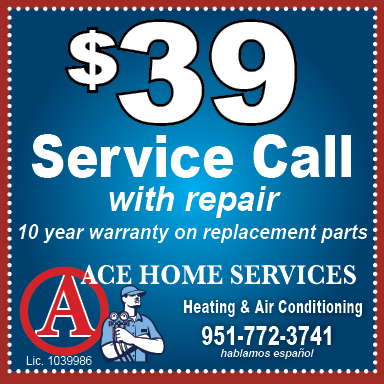 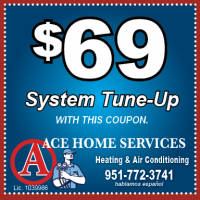 Ace Home Services has been providing superior services through HVAC repair & service, tune-ups to residents in Moreno Valley and the surrounding areas for over 10 years. 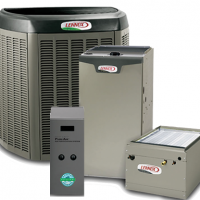 We offer you peace of mind, ensuring your equipment operates more safely and efficiently. 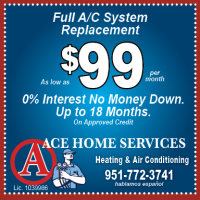 We help you save money on your heating and cooling bills. 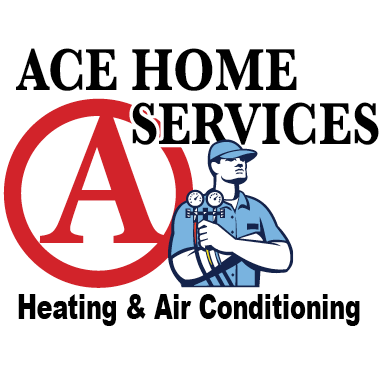 We help deliver relief to those with allergies and many others concerned with the quality of the air they breathe at home. We understand heating and cooling issues don’t always occur at the most convenient times. 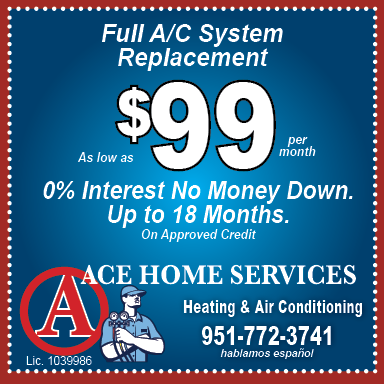 This is why we have 24/7 emergency heating and cooling services available (additional fees may apply).